A Comparator is a combinational circuit that gives output in terms of A>B, A<B, and A=B. This is quite expected from the name as the purpose of comparing numbers is to represent their relationship with each other. 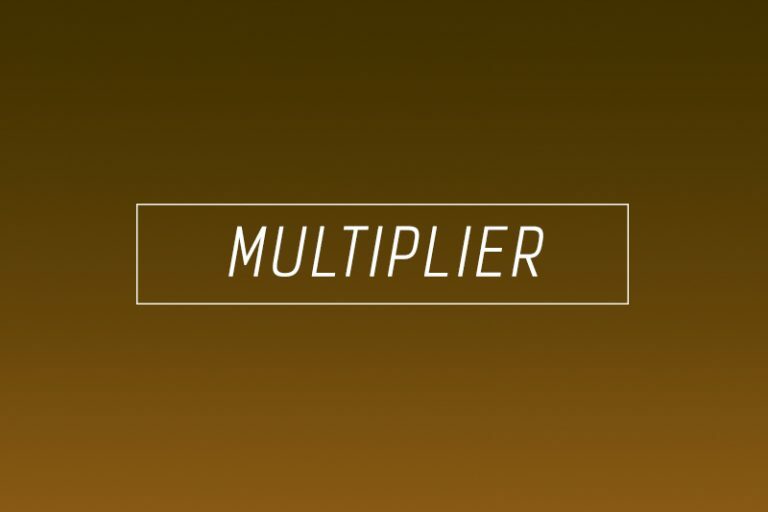 How to design a simple 1-bit comparator? 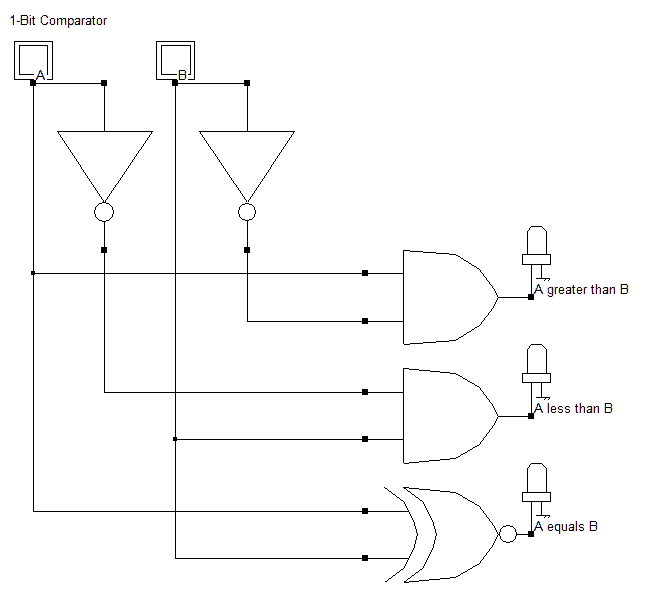 A 1-bit comparator compares two single bits. Let’s apply a shortcut to find the equations for each of the cases. Normally, we can use a K-map. But this shortcut is efficient and handy when you understand it. Similarly, denote A<B with Y and A=B with Z. 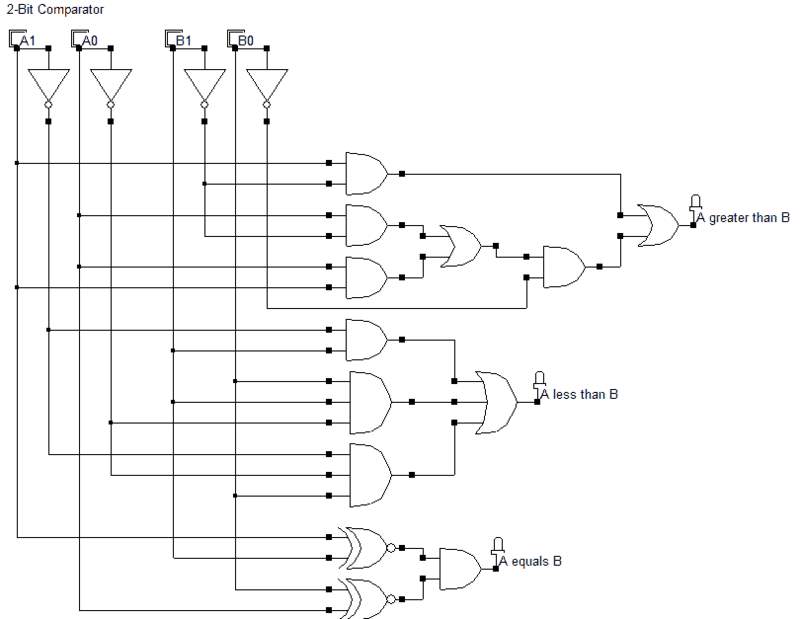 How to design a 2-bit comparator? The shortcut that we saw above can be used here too. But notice that since we have four variables (A1,A0,B1,B0) and each of the three outputs is high at least 4 times, the equations that we will get will have 4 terms of 4 variables. At least. So, though applying the shortcut is possible, we won’t. K-maps come in handy in situations like these. Because it is possible to achieve the simplest equation using them. And remember, the simpler the equation, lesser the gates required. That is the aim of any designing process. To obtain the simplest hardware implementation. 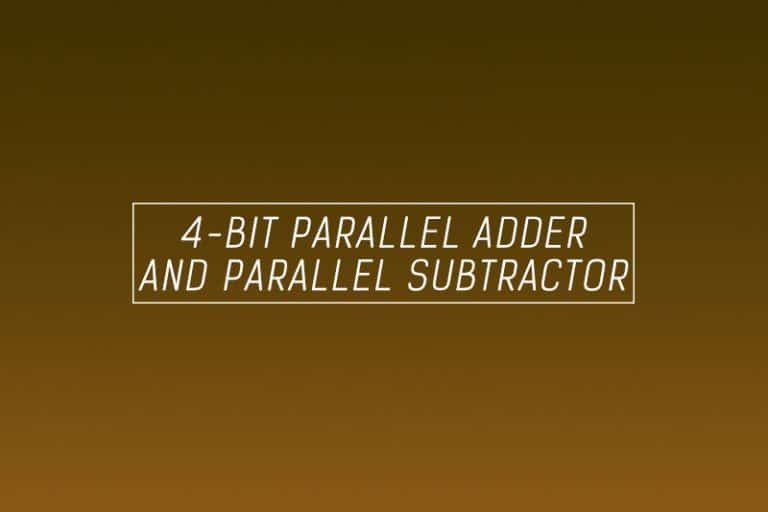 How to design a 4–bit comparator? The truth table for a 4-bit comparator would have 4^4 = 256 rows. So we will do things a bit differently here. We will compare each bit of the two 4-bit numbers and based on that comparison and the weight of their positions we will draft a truth table. Now let’s derive the equations for the three outputs. 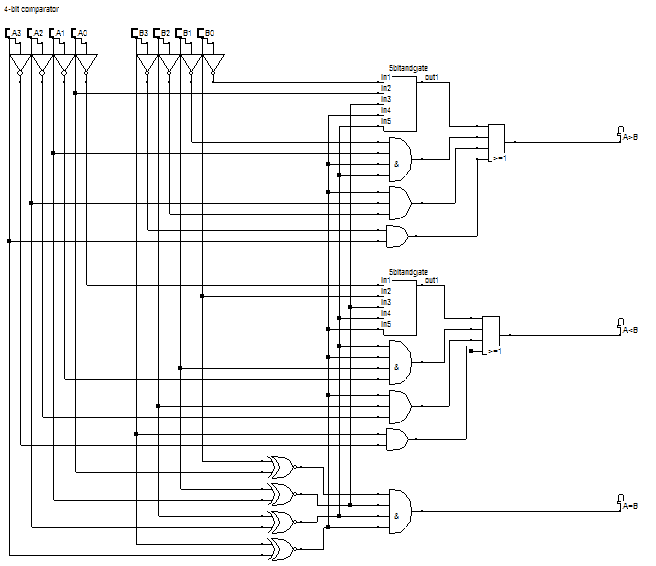 Designing the circuit based on the above equations, we get the following logic diagram for a 4-bit comparator. How do I remember this? This is the exact question I had when I first studied this truth table. I felt that this truth table was made only because whoever made it knew that it had to be made this way. How would I as a student be expected to devise a new system for a truth table? The answer is, you don’t have to. You are completely free to do it the old way with 256 rows. But this is an easier way to deal with when you have many variables that will end up in a huge truth table. You can remember it and maybe use it elsewhere when the need arises. If not, that’s okay too, you can bookmark this page and refer to it when you are tasked with making a huge truth table. Note: We will use all of the equations above when we code these comparators using VHDL in our VLSI course.